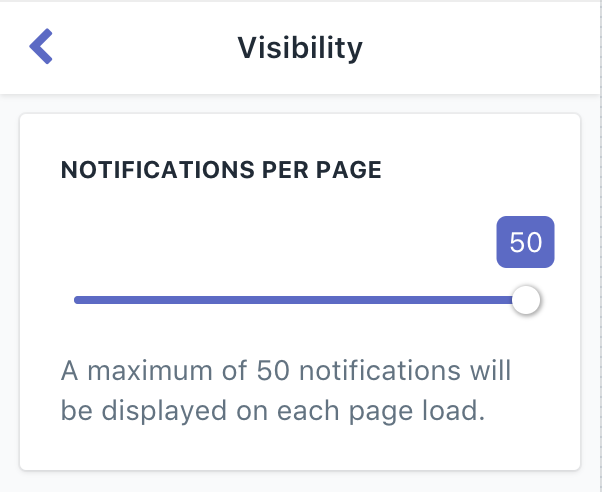 Recently displays a maximum of 50 notifications. To limit the amount of notifications that are displayed on any page view, select a lower amount. This is useful if you don't want to overload a visitor with too many popups on each page. By default all notifications will be displayed. 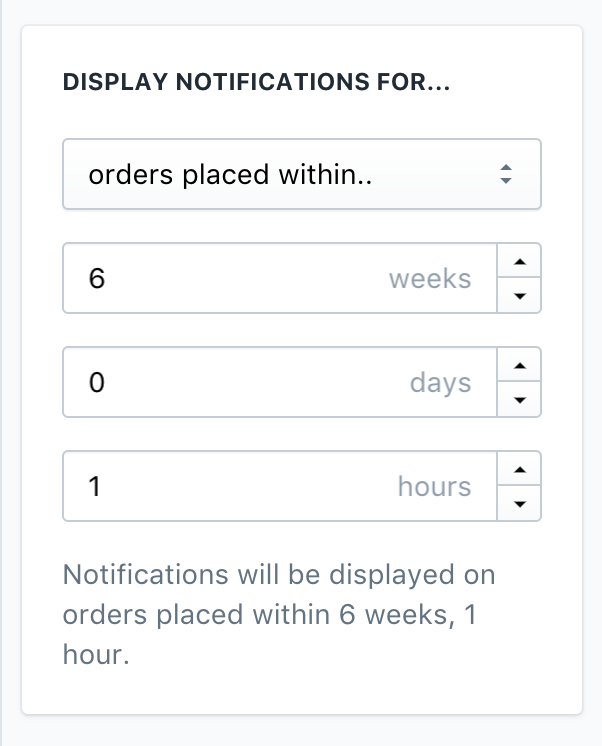 Use this setting if you only wish to display notifications for a specified amount of time after an order or a review was created. By default the time is displayed on all notifications. 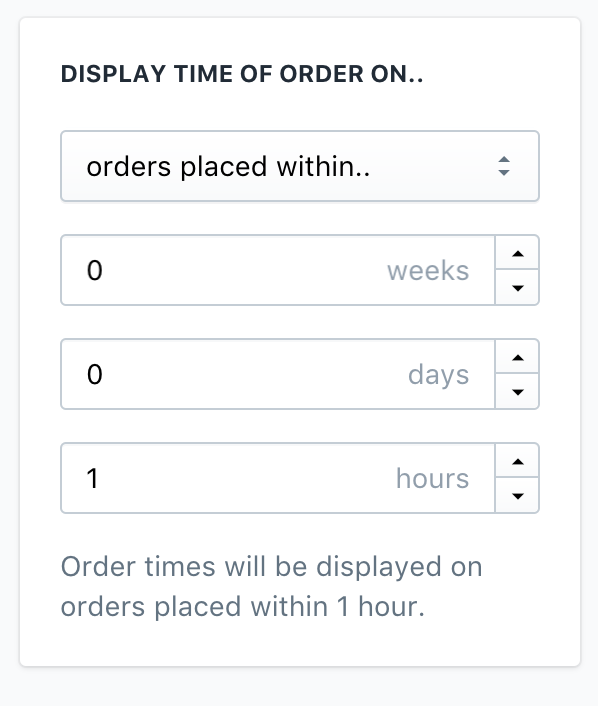 If you wish the hide the time after a specified period after an order or review was created, select orders placed within.. and select a time range. If you wish to hide the time on all orders, select no orders.